This week's charts, with data taken from March 12th, 2009, find Killzone 2 heading PlayStation 3 sales in North America, as Empire: Total War rules the PC charts in the U.S. and Europe. North America: 1. Mario Kart Wii (Nintendo), 2. Wii Fit (Nintendo), 3. Wii Play (Nintendo), 4. My Fitness Coach (Ubisoft), 5. Lego Star Wars: The Complete Saga (LucasArts). Japan: 1. Wii de Asobu: Pikmin 2 (Nintendo), 2. Wii Fit (Nintendo), 3. Mario Kart Wii (Nintendo), 4. Taiko no Tatsujin Wii (Namco), 5. Wii de Asobu: Pikmin (Nintendo). UK: 1. Wii Fit (Nintendo), 2. My Fitness Coach (Ubisoft), 3. Wii Play (Nintendo), 4. Mario & Sonic at the Olympic Games (Sega), 5. The House of the Dead: Overkill (Sega). In the absence of available Wii Fit stock, Mario Kart Wii surges up to take the top spot in North American Nintendo Wii software sales. Wii Play manages a third-place finish, as Ubisoft's My Fitness Coach drops to fourth in regional sales. Nintendo's Wii port of Pikmin 2 heads Japanese sales this week, meanwhile, as renewed demand for the original Pikmin pushes One Piece Unlimited Cruise: Episode 2 - Mezameru Yuusha out of the top five. North America: 1. Call of Duty: World at War (Activision), 2. Halo Wars -- Limited Edition (Microsoft), 3. Halo Wars (Microsoft), 4. Halo 3 (Microsoft), 5. Tom Clancy's H.A.W.X. (Ubisoft). Japan: 1. The Idolmaster: Twins -- Xbox 360 Platinum Collection (Namco), 2. BioHazard 5 -- Deluxe Edition (Capcom), 3. BioHazard 5 (Capcom), 4. Star Ocean: The Last Hope (Square Enix), 5. Halo 3 (Microsoft). UK: 1. Left 4 Dead (EA Games), 2. Halo 3 (Microsoft), 3. Street Fighter IV (Capcom), 4. Call of Duty: World at War (Activision), 5. Grand Theft Auto IV (Rockstar). With Halo Wars sales numbers split almost evenly between the regular and limited editions of the title, Call of Duty: World at War finishes this week as North America's single best-selling Xbox 360 game. Halo 3 continues to see boosted sales in the wake of Halo Wars' recent launch, as Tom Clancy's H.A.W.X. finishes this week at fifth place. Namco's Idolmaster series compilation The Idolmaster: Twins tops Xbox 360 sales in Japan this week, though BioHazard 5 remains a fierce chart competitor. Star Ocean: The Last Hope falls to fourth place in this week's rankings, as Halo 3 finishes out the regional sales results at fifth. North America: 1. Killzone 2 (SCEA), 2. MLB 09: The Show (SCEA), 3. LittleBigPlanet (SCEA), 4. Street Fighter IV (Capcom), 5. Metal Gear Solid 4: Guns of the Patriots (Konami). Japan: 1. BioHazard 5 (Capcom), 2. Musou Orochi Z (Koei), 3. Ryu ga Gotoku 3 (Sega), 4. Demon's Souls (SCEI), 5. Senjou no Valkyria -- PlayStation 3 the Best (Sega). UK: 1. Killzone 2 (SCEE), 2. LittleBigPlanet (SCEE), 3. 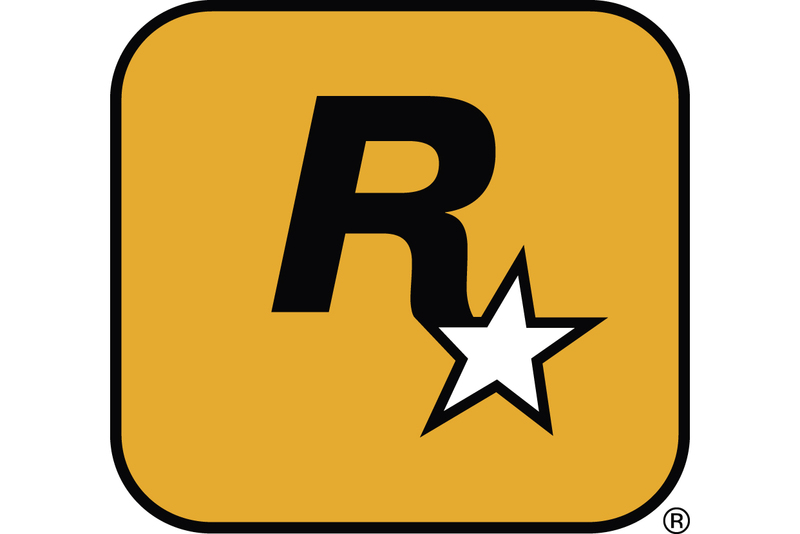 Grand Theft Auto IV (Rockstar), 4. Tom Clancy's H.A.W.X. (Ubisoft), 5. FIFA 09 (EA Sports). Killzone 2 once again tops PlayStation 3 sales numbers in North America and Europe. Sony's recently released baseball sim MLB 09: The Show debuts at second place in its U.S. debut week, as LittleBigPlanet and Street Fighter IV trail close behind. The recently released BioHazard 5 and Musou Orochi Z push Ryu ga Gotoku 3 out of the top chart spot in Japan, meanwhile, as Demon's Souls narrowly beats out a rereleased Senjou no Valkyria to take fourth place. North America: 1. MLB 09: The Show (SCEA), 2. The King of Fighters '98: Unlimited Match (SNK Playmore), 3. Shin Megami Tensei: Persona 4 (Atlus), 4. God of War (SCEA), 5. Shadow of the Colossus (SCEA). Japan: 1. Devil Summoner: Kuzunoha Raidou tai Abaddon Ou Plus (Atlus), 2. Galaxy Angel II: Eigou Kaiki no Koku (Broccoli), 3. Hokuouki (Idea Factory), 4. Ryu ga Gotoku 2 -- PlayStation 2 The Best (Sega), 5. Devil Summoner: Kuzunoha Raidou tai Chouriki Heidan -- Atlus Best Collection (Atlus). UK: 1. SingStar: ABBA (SCEE), 2. FIFA 09 (EA Sports), 3. SingStar '80s (SCEE), 4. Call of Duty: World at War -- Final Fronts (Activision), 5. Lego Indiana Jones (LucasArts). MLB 09: The Show tops the PlayStation 2 charts this week in North America, achieving initial sales numbers that rival the PS3 edition's. SNK's 2D fighter remake The King of Fighters '98: Ultimate Match also arrives as a top seller in its premiere week, pushing longtime chart leader Persona 4 to third place in weekly sales results. North America: 1. Empire: Total War (Sega), 2. World of Warcraft: Wrath of the Lich King (Blizzard), 3. Mystery Case Files: Ravenhearst (Activision), 4. The Elder Scrolls IV: Oblivion -- Game of the Year Edition (2K Games), 5. Warhammer 40,000: Dawn of War II (THQ). Japan: 1. Monster Hunter Frontier Online Season 4.0 Premium Package (E Frontier), 2. Ragnarok Online Beginners Package 2009 (E Frontier), 3. Left 4 Dead (Zoo), 4. Final Fantasy XI: The Vana'diel Collection (Square Enix), 5. Daikoukaijidai Online (Koei). UK: 1. Empire: Total War (Sega), 2. Empire: Total War -- Special Forces Edition (Sega), 3. Football Manager 2009 (Sega), 4. Warhammer 40,000: Dawn of War II (THQ), 5. World of Warcraft: Wrath of the Lich King (Blizzard). Sega's real-time strategy sequel Empire: Total War tops Amazon's PC sales charts in North America and Europe in its first week of release, edging out competition from World of Warcraft: Wrath of the Lich King and Football Manager 2009. A discounted Mystery Case Files: Ravenhearst manages a top-five finish in the United States, meanwhile, as Dawn of War II drops to fifth place in the wake of increased demand for the Game of the Year Edition of The Elder Scrolls IV: Oblivion. North America: 1. Mario Kart DS (Nintendo), 2. New Super Mario Bros. (Nintendo), 3. Professor Layton and the Curious Village (Nintendo), 4. Brain Age (Nintendo), 5. Brain Age 2 (Nintendo). Japan: 1. Rittai Picross (Nintendo), 2. Mario & Luigi RPG 3 (Nintendo), 3. 7th Dragon (Sega), 4. Tokimeki Memorial Girl's Side 1st Love Plus (Konami), 5. Aibou DS (Tecmo). UK: 1. Professor Layton and the Curious Village (Nintendo), 2. Dr. Kawashima's Brain Training (Nintendo), 3. Puzzler Collection (Ubisoft), 4. 100 Classic Book Collection (Nintendo), 5. Mario Kart DS (Nintendo). Though recent promising titles like Dragon Quest V and Fire Emblem: Shadow Dragon may have disappeared quickly from the North American Nintendo DS sales charts, the reigning champions Mario Kart DS and New Super Mario Bros. could soon face serious competition from upcoming titles like Scrabble, Pokemon Platinum, and Grand Theft Auto: Chinatown Wars. Amazon reports that preorders are on the rise for all three titles, and all are likely to occupy positions in the top five following their debuts later this month. Nintendo's logic puzzler Rittai Picross takes top honors in Japan this week, meanwhile, as Professor Layton again leads platform sales in the UK. North America: 1. MLB 09: The Show (SCEA), 2. God of War: Chains of Olympus (SCEA), 3. Crisis Core: Final Fantasy VII (Square Enix), 4. Sega Genesis Collection (Sega), 5. Phantasy Star Portable (Sega). Japan: 1. Monster Hunter Portable 2nd G -- PSP the Best (Capcom), 2. Shin Sangoku Musou: Multi Raid (Koei), 3. Zettai Zetsumei Toshi 3 (Koei), 4. Tales of the World: Radiant Mythology 2 (Namco), 5. Kiniro no Corda 2 f (Koei). UK: 1. FIFA 09 (EA Sports), 2. Football Manager Handheld 2009 (Sega), 3. Ben 10: Alien Force (D3 Publisher), 4. LocoRoco 2 (SCEE), 5. Patapon (SCEE). Sega accounts for a good percentage of this week's PSP software sales in North America, with both Sega Genesis Collection and the recently released Phantasy Star Portable finishing among the platform's top five weekly sellers. MLB 09: The Show tops overall results, meanwhile, as God of War: Chains of Olympus and Crisis Core: Final Fantasy VII follow at second and third place.